Lima, Peru, May 03, 2018 --(PR.com)-- Amazing Peru is spreading its wings in Latin America, with more planes and more pilots and a new office in Brazil. They are the first Latin American company offering private jets. The Latin America-based charter jet company announced today it has increased its fleet for its private flights throughout Latin America and worldwide. Asked what prompted the expansion, Nicole Wagner, Latin America Branch Manager of Amazing Peru Private Jets, said: "Primarily there was a market available, and being the first and only Latin American Company offering this service, an opportunity became available, so we jumped on it." The expansion will allow the company to offer "new and more varied options" to its customers worldwide, she said. The response to the service in Latin America has been great, Wagner said. With the expansion, Amazing Peru Private Jets has planes based in Lima, Sao Paulo, Rio de Janeiro, Quito, Buenos Aires and Santiago. Private Jets has a variety of aircraft. "We have over 30 planes in our fleet," Wagner said. "We have the capacity to move any of those planes to anywhere in the world if required." 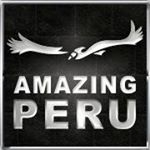 Amazing Peru Private Jets primarily serves destinations in the United States, Canada, Mexico, the Caribbean, Central America, South America and Europe. Charter flights are available 24 hours a day, seven days a week, year-round, weather and safety permitting. Amazing Peru pioneered the luxury adventure and private aviation in South America more than 47 years ago. Today we are the world’s undisputed Latin America luxury-travel leader and the only Latin American private jet Company, offering award-winning "tours of a lifetime" by National Geographic offering travel solutions to our discerning worldwide clientele.